Increased capacity and greater process efficiency were the focus for a leading UK postal delivery company when it came to replacing its 20-year-old depot with a new and improved ‘super depot’. With a £3.5 million investment, DPD’s super depot in Exeter, which was completed in 2016, has double the capacity and is four times as efficient as the old depot, creating 35 new jobs and handling a staggering 25,000 parcels a day. Euroclad products provided the high-quality feel that the 5,618m2 building needed, which were installed by specialist contractor Progressive Systems. 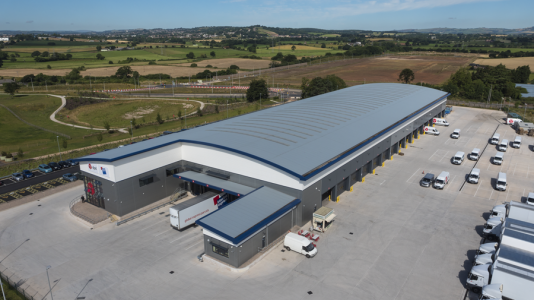 Euroclad’s Elite wall and roof systems provided the form, function and durability required by the building’s specification and has been so well received that, to date, Euroclad products have featured on six new DPD distribution centres across the UK in the last year or so.